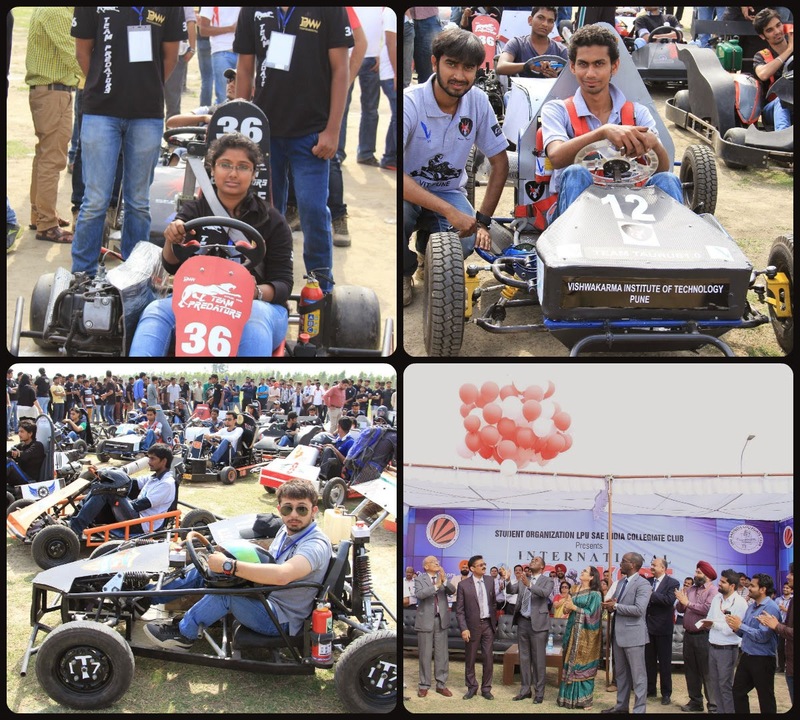 Jalandhar: International Go-Kart Championship (IGC) at LPU saw tremendous showcasing of 104 Go-Karts from across three great nations of Asia-Bangladesh, Sri Lanka and India this year. After initial virtual rounds, qualified 52 teams are now spearheading to show their skills and competing to get declared coveted Champion. LPU SAE (Society of Automotive Engineers) Collegiate Club (LSCC) inaugurated various competitive rounds of the event today at LPU campus. On this occasion, His Excellency High Commissioner of Rwanda Hon’ble Mr Ernest Rwamucyo was the Guest of Honour of the day, and he released balloons to mark the start of the competitions. This, Asia's largest four-day students Initiated automotive event will test various vehicles for technical aspects, endurance tests, brake tests, many other tasks and allied activities. Added with excitements & thrills in abundance, the championship to last till 24th March 2014 is carrying slogan-“Let’s tighten up the bolts”. The Championship is to design and fabricate ‘Go-Kart’ in extremely low budget, and able to be competitive for several tests and tasks. Illustrative, LSCC is a student organisation which deals with the mechanical engineering projects, and is affiliated to SAE- an International organization which provides both national and international exposure to the engineering students. Team from Jamia Millia Islamia University New Delhi is competing as ‘Kartastrophe’; from BITS Pilani Hyderabad Campus as ‘Team Rossi’; from Manipal Institute of Technology as ‘Scuderia Manipal’ and 49 others with other inspiring names. Muy buen blog, lo compartiré con mis amigos. A compartir se ha dicho, que buenos los blogs. By the way, here I found an answer why are students given so much homework. It was interesting for me since college so finally I got it. Want Assignment Help New zealand? Then simply visit at Students Assignment Help and take our Assignment Help New Zealand at very good cost. We can erase your assignment in any of the referencing style.